Greg Universe is the father of Steven Universe, from a relationship with Rose Quartz, and owner of a small car wash. 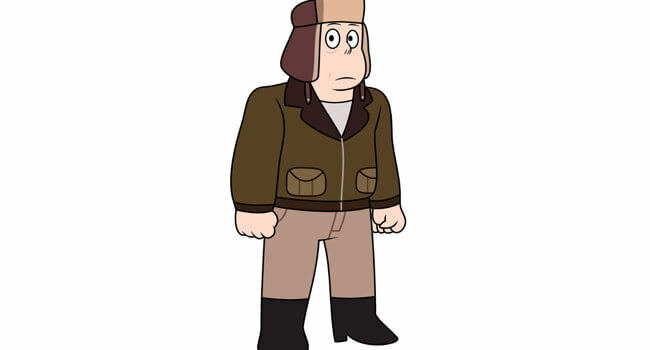 He was once somewhat important to the Crystal Gems, but today he is no longer need. Quite sad if I do say so myself. In Steven Universe, Jasper, once the superior of Peridot and Lapis Lazuli, is one of the most formidable antagonists. She is serious and headstrong, with a fierce hatred for the concept of fusion, until she goes on to fuse with Lapis. In Steven Universe, Smoky Quartz is the fusion of Steven and Amethyst. They formed for the very first time in their debut episode, “Earthlings”. 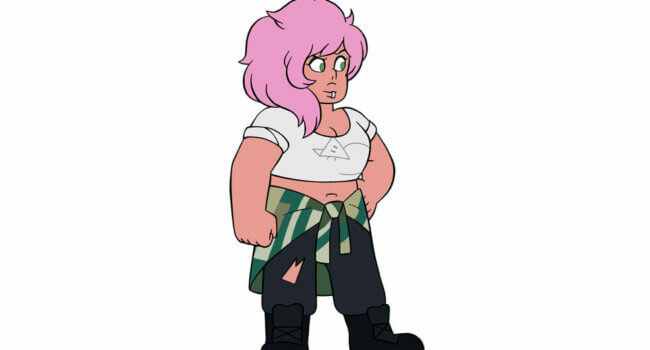 Smoky wears two crop-top shirts, one similar to Amethyst’s, and one that resembles Steven’s. Steven’s shirt is noticeably stretched due to Smoky Quartz’s size. In Steven Universe, Sapphire is a member of the Crystal Gems with blue skin and pale blue, wavy hair with bangs. Sapphire wears a floor-length gown with white, rounded, puffy sleeves, a navy top, and a blue skirt. Her dress has a blue pinafore over the top. In Steven Universe, Pearl is a member of the Crystal Gems. One of Rose Quartz’s closest followers and her sole confidant, Pearl is one of the last surviving Gems on Earth who joined the Crystal Gems in their rebellion against the Gem Homeworld. Pearl would afterwards protect the Earth over the next several millennia alongside her friends, while later teaching Rose’s son, Steven, the ways of Gems.